Dr. Klein featured in the August issue of Alive magazine. "The Wellness Revolution" on The Local Biz site. Download your copy below and find out how you can Spring Into Health, Naturally! DurhamVeg Vegan Festival acknowledged the growing trend of plant-based and vegan products. The festival was a big success with the vegetarian-friendly community and featured different types of delicious foods and desserts, as well as cooking demos and a great source of information. The goal of DurhamVeg was to create awareness and interest for region-wide residents in learning about veganism and the health benefits of such a diet. It promotes health, compassion for animals and consciousness about the environmental impact of our food choices. In support of Grandview Kids, 995 participants laced up to raise funds as part of Run Ajax. Jam-packed and bustling with action, activities and smiles of all ages and abilities, the day included the LifeTime Kids 1km, the Intact Insurance 5km run, and the Veridian 15km course. Various community organizations were also on hand to both greet the community and support the cause. The crowd enjoyed on-site massages, acupuncture, face-painting, refreshments, games and so much more! All funds raised will help children and youth with special needs in Durham Region. As featured in BioClarity's article on "Best Acne Fighting Tips". 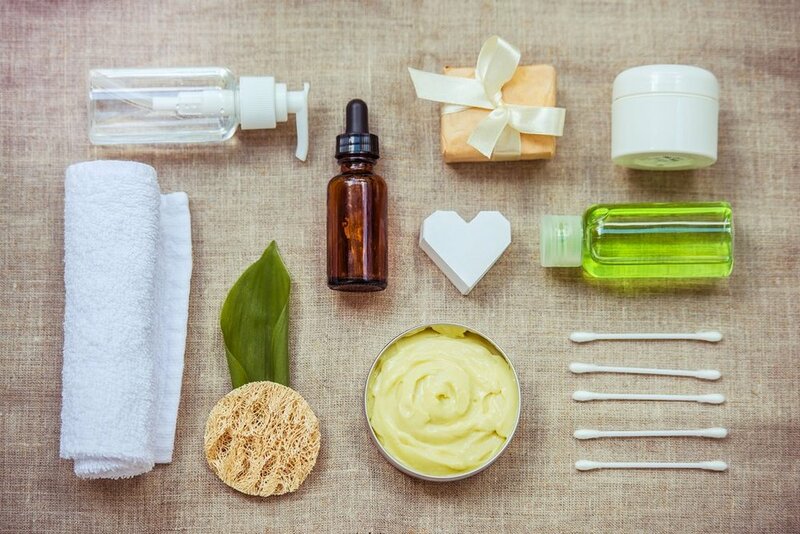 "For patients struggling with acne I recommend consistent hygiene practices using a gentle natural cleanser followed by a small amount of tea tree oil and coconut oil applied topically to the problem area. Both tea tree oil and coconut oil are antimicrobial. I also recommend pillow cases be changed regularly and that patients drink at least 2 liters of water daily. A key part of treating any skin condition, including acne, is that skin is often a reflection of something going on inside our bodies. There are only so many ways toxins can be eliminated from the body, with the skin being our largest organ—it often becomes a source of elimination. It is important to assess for adequate nutrition, sources of inflammation, food allergies or sensitivities, stress, and to ensure that the body’s sources of detoxifying and eliminating are functioning optimally." Durham Sport and Wellness held an Open House to allow the community to meet the newest member of their team. 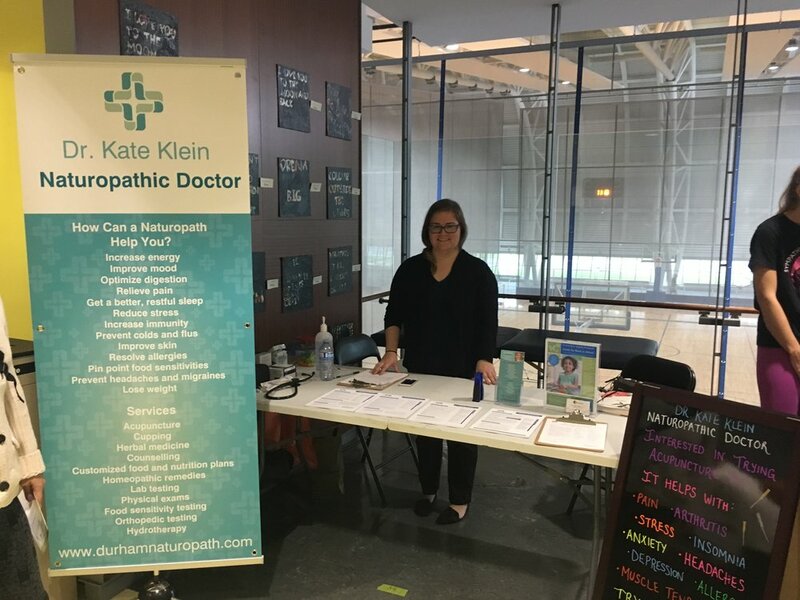 Dr. Kate Klein is a licensed naturopathic doctor, and has now joined the staff. Dr. Klein focuses on stress management, anxiety, depression, sleep and digestive concerns. Photo (left to right): Dr. Stef Harrison (DC), Dr. Kate Klein (ND) & Wendy Montesano are members of Durham Sport & Wellness - Photo by Kim Lowes.